Running his debut season in the OSCAAR Pro Sprint Series, Kevin Taylor put together some impressive runs en route to placing 10th in the year-end standings. 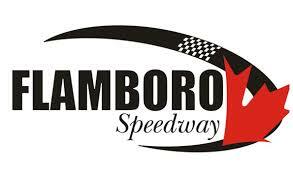 The Richmond Hill native made his OSCAAR debut at Sunset Speedway’s Spring Velocity, running just outside of the top-five throughout the feature, before an excellent final restart to score a fifth-place finish. Returning to the Innisfil oval a month later, he showed the same speed with a runner-up in qualifying but ultimately ended up eighth in the feature. His first trips to speedways ultimately produced some of his best performances. Going to Flamboro Speedway at the end of July, the night didn’t start well with a spin in the second qualifier. However, starting deep in the field, he would make his forward, passing Rob Summers on Lap 15 to score a fifth-place finish. The speed of the No. K5 The Lisamore Group, Hinkley Lighting, Festun Decorating, Bukbrite, Living Lighting OSCAAR Pro Sprint showed through the summer, with sixth-place finishes in his first trips to Peterborough Speedway and Sauble Speedway. After missing some events through September, he would make his return to the series for the final two weekends of competition. Across the three feature events he ran, he would score a pair of eighths, capping off the year with seven top-10’s. In a year filled with talent, Kevin Taylor was one of those drivers who was overlooked by many at times during the season. However, with numbers like these in a rookie campaign with speed shown, you can expect him to contend for podiums in the years to come.